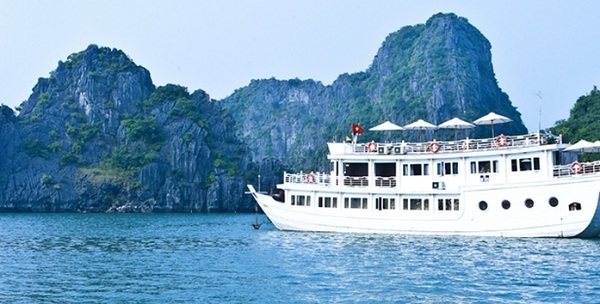 Bhaya Legend cruise, built in similar style to the larger Bhaya cruises, features a single deck design with a semi-covered dining area offering panoramic views. The fleet has the total of 08 cruises, including 01 cruise of one cabin, 02 cruises of two cabins, 04 cruises of three cabins, and 01 cruise of four cabins. 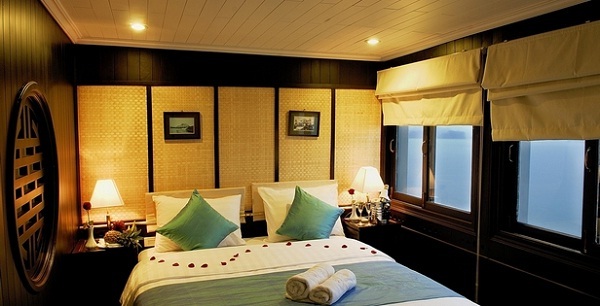 All Suites on Bhaya Legend cruise have double beds and are highlighted in traditional hardwood, creating luxuriant warmth. Cream trim and large picture windows offering 180° views ensure a bright and lively ambience. Hand-crafted hardwood furniture, gold and white fittings, and delicate upholstery further enhance the warmth and light in each suite on Bhaya Legend cruise. The dining / bar area and covered relaxation area on Bhaya Legend Cruise offering 320° private views of the spectacular surrounding scenery. 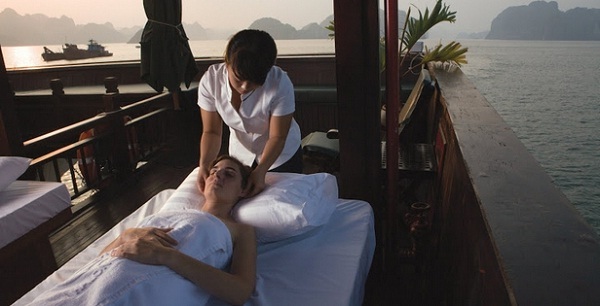 With its comfortable lounge chairs, fresh ocean breezes and dazzling views, the Sundeck on Bhaya Legend cruise is the perfect place to lie back and relax in tranquil privacy. 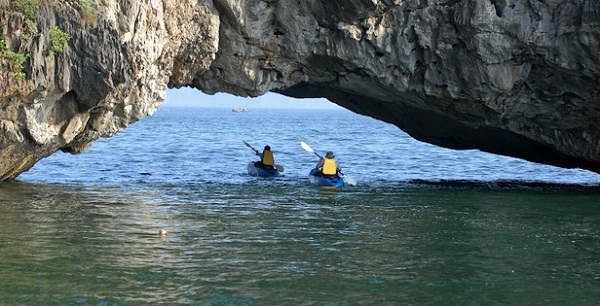 Visitors should cruise among the thousands of limestone islands in Halong and Lan Ha Bays, visit floating fishing villages and pearl farms to discover fascinating cultural insights, go kayaking through an amazing tunnel under a karst mountain, swim the calm turquoise waters off pristine white sandy beaches and etc. 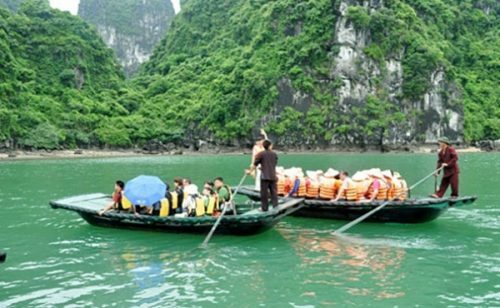 Overnight Halong Bay cruises aboard a Legend Halong include free-flow soft drinks, coffee and tea, lunch, dinner and brunch. 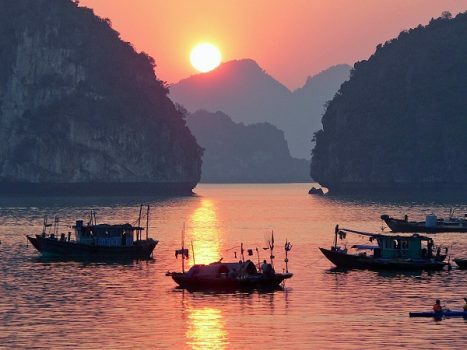 They are perfect for individuals, couples, families and friends wishing for an exclusive, private, customized charter cruise on Halong Bay.